At today’s plenary sitting, the discussion focused on the Bill on Amendments to the Gender Equality Act and Amendments to Other Associated Acts (683 SE), initiated by the Government. The Bill is intended to reduce the inequality of the wages paid to women and men for the same work or work of equal value in the public sector. The amendments will create more effective and convenient possibilities to analyse the gender pay gap, establish the state and administrative supervision of the principle of equality of the wage paid to women and men for work of equal value in the public sector (hereinafter also supervision of the principle of equal pay), and specify the current regulation with the aim of supporting the implementation of the requirement of payment of equal wages and the supervision to be established. The first reading of a Bill was adjourned due to the end of the working hours of the plenary, and the deliberation will continue with negotiations at tomorrow’s sitting. As the first item on the agenda, the Riigikogu deliberated the Bill on Amendments to the Citizenship Act (634 SE), initiated by the Estonian Reform Party Faction, which was intended to allow multiple citizenship for Estonian citizens who have acquired Estonian citizenship by birth. The Bill also provided for the possibility of resumption of Estonian citizenship for persons who had acquired Estonian citizenship before 26 February 1992 but who had been forced to renounce it or were deemed to have ceased to be an Estonian citizen. During the debate, Valdo Randpere (Reform Party) and Jüri Adams (Estonian Free Party) as representatives of factions spoke in favour of the Bill. Mart Nutt (Isamaa), Oudekki Loone (Centre Party), Jevgeni Ossinovski (Social Democratic Party) and Henn Põlluaas (Estonian Conservative People’s Party) argued against the Bill. 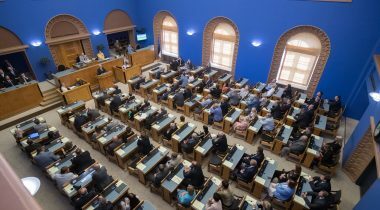 The Constitutional Committee and the Estonian Conservative People’s Party Faction moved to reject the Bill at the first reading. 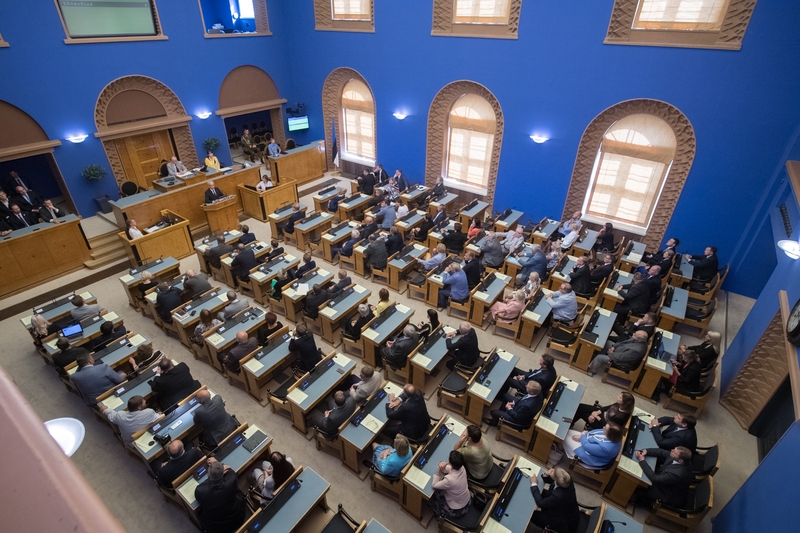 50 members of the Riigikogu voted in favour of the motion and 35 were against, and thus the Bill was dropped from the proceedings of the Riigikogu. The first reading of the Bill on Amendments to the Environmental Charges Act and Other Associated Acts (660 SE), initiated by the Government, the Bill on Amendments to the Nature Conservation Act (676 SE), initiated by the Government, and the Bill on the Accession to the Protocol to the 1979 Convention on Long-Range Transboundary Air Pollution to Abate Acidification, Eutrophication and Ground-Level Ozone and the Acceptance of the Amendments of 2012 to the Protocol (677 SE), also initiated by the Government, was postponed to tomorrow’s plenary sitting.